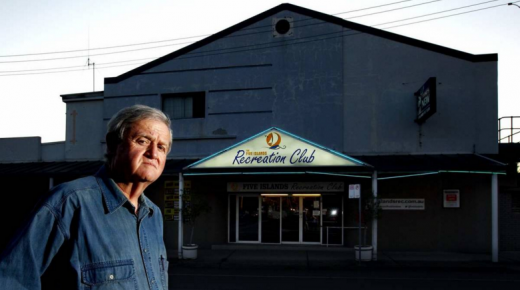 PHOTO: Lyle Dalton’s Speers Point RSL sub-branch sold their iconic value fighting Speers-Point Boolaroo sub-branch over a parking lot land title. TTN,21st October 2016: The RSL’s accounting of assets is out of step with Australian charity governing standards, says Angela Lavoipierre in the below ABC report on Returned and Servicemens’ Leagues Clubs (RSLs). Almost half a billion dollars are held in cash and investments by sub-branches, and so is immediately available. Multiple sub-branches have closed because of legal battles over property and parking – expensive battles that require legal expertise that few sub-branch boards have. In the Newcastle NSW region alone Speers Point, Adamstown, Merewether, New Lambton and Hamilton branches all had their value property assets fall to legal battles or administration within a few years from 2012. The Speers Point sub-branch, on the shores of NSW’ Lake Macquarie, (See the full Newcastle Herald story on the Speers Point sub-branch here) sold for little over $1m in 2014. $1m barely buys a house on Lake Macquarie in 2016. Hear The World Today’s report in audio here, or continue reading below. 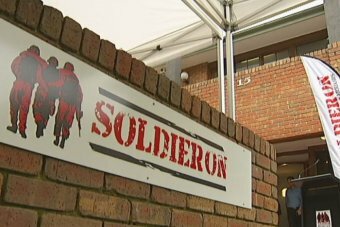 The RSL’s New South Wales Branch has been accused of stockpiling hundreds of millions of dollars, instead of spending it on veterans in need. Figures provided by the RSL reveal the organisation’s 364 NSW sub-branches have a combined worth of almost $500 million in cash, assets and investments. More than $148 million of that is held in property, and almost $350 million in cash and investments. Much of the wealth rests with a handful of well-funded sub-branches, due to the sale of valuable property used by RSL clubs. In Sydney, the Auburn RSL sub-branch has almost $22 million in cash and investments, while Five Dock has $19 million and Bankstown $15 million. At the other end of the scale, the RSL sub-branch at the tiny south coast town of Coledale, has $4,300 in the same column. John Haines, president of RSL NSW, said the fact that the sub-branches had a combined worth of half a billion dollars was no secret. “It’s common knowledge within our community,” Mr Haines said. But James Brown, the vice-president of North Bondi RSL, said the figure was something of a surprise. “Much of that is in property, so it’s not immediately available, but there are large sums in cash — I think more than most people would have expected,” he said. Dr Sandra van der Laan, an expert in charities accounting from the University of Sydney, said RSL NSW had not been upfront about the value of the organisation. “RSL NSW really should be including the financial information of the sub-branches in their reporting to the public,” she said. Dr van der Laan said $500 million was a lot of money and assets for a charity to keep locked away. “If they’re not using their funds appropriately for their charitable purpose, they might be breaching some form of regulation,” she said. But Mr Haines said the RSL was doing its job as a charity. Jay Devereux, the founder and CEO of Veterans 360, said his organisation had received no financial support from the RSL, despite the fact that it was exactly the kind of work they are meant to do. “I’ve been asking RSL NSW and sub-branches for funds for 12 months,” he said. Veterans 360 provides face-to-face crisis support around the country for veterans experiencing homelessness and survives on donations, the work of volunteers, and some help from the Department of Veterans Affairs. Mr Devereux said there was room for the RSL to do much more in providing direct services to veterans, especially knowing much they have in the bank. “Having that kind of money, that kind of resource sitting there doing nothing is quite distressing,” he said. “I see $500 million as a huge figure and it’s my belief that if we use that money now to help people, they can then go on and raise more money. The revelations come as the RSL’s NSW branch prepares for a forensic audit to look for fraud and misconduct amongst some of its senior executives. Mr Brown, who ran against Mr Haines in the recent election for state president, said the lack of trust in the leadership was complicating matters. “I think a lot of the wealthier sub-branches would like to have big strategic initiatives that they could spend money on, but have been concerned about handing money over to a state leadership that hasn’t been very transparent and hasn’t been very effective,” he said. Mr Brown said change was needed, and soon. “I think it’s clear that business as usual won’t cut it at the very top of the state council at the RSL, and I think a lot of members want to see a change,” he said.